Cyprus is almost exclusively catering for Russian and Ukrainian customers. This is the tale of two islands, Malta and Cyprus. At first glance our island has many similarities with Cyprus, if we forget for once the latter’s frozen conflict between its Muslim and Christian Orthodox populace. Tourism is a major economic factor for both economies. A sprawling hotel industry encroaches rapidly on the beauty of the land, sacrificing nature, agriculture and architectural heritage for the sake of feeding a dirt-cheap mass market. As Cyprus is much bigger than our island, it will take much longer for the damage to become irreversible, though. Pollution and excessive emissions too spread more thinly because of its size. Traffic is still manageable. Ultra-low taxes attract a great many foreign companies to Cyprus. Financial services and investment funds find fertile ground, and in their wake a somewhat hypertrophic legal and accounting industry. Favourable residency schemes and income tax leniency let expatriates flock to its shores: the same lawyer-salespeople who introduced us to Golden Visas have persuaded the Cypriot Government too that there’s nothing wrong with selling passports, so long as they are expensive enough to bolster the budget. In the wake of wealthy, if sometimes shady, foreigners gobbling up EU citizenships, developers and construction companies go on steroids to provide the necessary fig-leaf homes, lavish penthouses and glittering-glass office towers. The local stock market reflects the lop-sidedness of the island, listing predominantly construction and tourism companies, and financials. For local retail investors like us, to put one’s money into this is a risky undertaking. If boom turns into bust, stocks and the economy will nose-dive in tandem. It is the equivalent of a company investing the pension pot of its employees exclusively in its own shares: in a bankruptcy, workers will not only be out of work, but will have lost their retirement savings too. I know Cyprus too little to advance an opinion on corruption, or whether its politicians think it necessary to set up off-shore companies for themselves or their relatives to provide for a rainy day. And I have no idea if law enforcement, judges or the financial market authorities tend to follow their political masters, or prefer to fiercely protect their independence and noble reputation. But I know for sure that Cyprus is in a far more advanced stage to bet the bank on an unsustainable business model. In this respect it has gone much further than Malta, and for once may serve as a cautionary tale. Cyprus is almost exclusively catering for Russian and Ukrainian customers. It offers them visa-free access, Russian speakers in shops and restaurants and it is granting their ex-Soviet clientele favours and legal shortcuts which may soon hurt the island’s reputation and its economic wellbeing. In the recent financial crisis Cyprus was the only European country forced by the EU to accept a 25 per cent haircut on its bank deposits, in the safe knowledge that it was almost exclusively hurting Russian hot money. History repeats itself in new dresses. The next crisis to hit Cyprus may be triggered by money-laundering charges, like those recently witnessed in Estonia and subsequently in Denmark. And the culprit will not be banks. It will be Cypriot accountancies, lawyers and trust businesses. I know this, because I am the victim of a fraud committed by a Russian businessman assisted by a Cypriot trust company. One of these firms which set up thousands of letterbox companies for their clientele in an instant – in sometimes obscure, far-away places with innocent cleaners or dishwashers acting as directors. In my case it was not any company: Trident Trust Company is a world-wide franchise, and the director of its Cypriot branch, Petros Livanios, is one of the wealthiest and best respected businessmen in Cyprus. His clients fly in on private jets. He is the darling of oligarchs. He is the pillar of society. His sister is even a supreme court judge. I met the Russian businessman, Andrey, for the first time in Paris more than 15 years ago. Two former employees of mine, whom I would trust unwaveringly, had introduced me. All three were partners in a hopeful business venture I was asked to finance. A credit agreement was drafted between me and Andrey’s Cypriot company, duly registered in Cyprus; sureties were agreed. As security a range of assets was pledged, located in Russia but exclusively owned by two other Cypriot companies. All contracts were later signed by Petros Livanios, who rendered me not only the share certificates of the companies but also a declaration of trust that henceforth shares will be held in my name and that the companies will be administered according to my instructions. The contract stipulated that the pledged Russian property will remain the property of the Cypriot companies, no other mortgages will be permitted and my credit will be exclusively used to invest in the new business. The contract, sealed and signed by Livanios, showed that the Russian was the true and sole beneficiary of all and that he guaranteed repayment with all his current and future possessions, which in the case of Andrey included his villas and bank accounts in Cyprus. What I did not know was that Livanios would issue blanket power of attorneys to Andrey and his Moscow lawyers, unimpeded by my contract. They were signed by Petros Livanios and confirmed by his “board of directors”. For a few years all went well. Then payments started to become more irregular until one day they stopped altogether. I, therefore, had no other route to recover my money than to make a claim to Livanios and start procedures selling the pledged assets. Yet to my dismay I had to find out that all three Cypriot companies had been mothballed in the meantime, bank accounts emptied and all assets transferred to a new Cypriot company, with my Russian being the sole beneficiary and, you must have guessed it, Petros Livanios as its sole director. Livanios had in flagrant violation of the contract he himself had signed, transferred all assets from himself to himself leaving me high and dry. Trident Trust was unwilling or incapable to provide me with an explanation as to why they had taken liberty to violate their own trust declaration and all contracts signed by them. They flatly refused to give me any information, citing “client confidentiality”. Never mind that I was one of their clients too and had been robbed. No proof of the commercial transaction, no balance statements showing the transfer, no minutes of the board of directors. Not even fake minutes alleging my consent. In truth no meaningful book keeping had ever taken place. All my attempts to sue them for proof of documentation was to no avail, so far. Next month the Supreme Court of Cyprus will have to come up with a meaningful decision, fingers crossed. 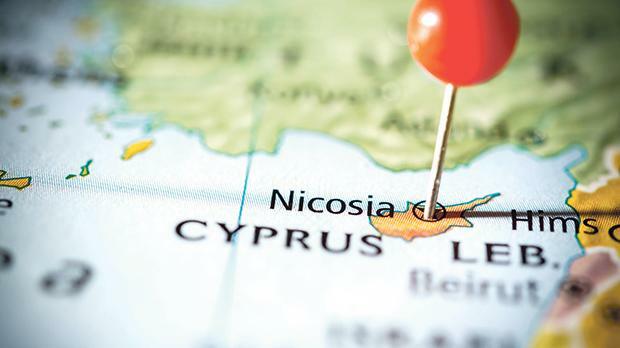 Take note: we are not talking about some flimsy off-shore company on the Seychelles, or Mindanao, but a European company, duly registered in a European company register, under Cypriot law and under supervision of the FMA. Depending on one’s view point, we in Malta have either still to learn a lot how to best promote impunity, how to facilitate money-laundering, how to guarantee the anonymity of crooks and how to cover it all up, or we should be happy that at least when it comes to paper work we are capable of maintaining European standards.